We wish you a very special holiday season with opportunities to pause and enjoy your family and friends and the beauty of the world around us. 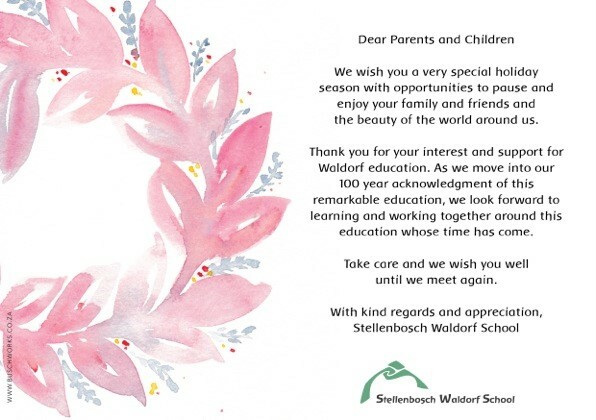 Thank you for your interest and support for Waldorf education. As we move into our 100 year acknowledgement of this remarkable education, we look forward to learning and working together around this education whose time has come.